Arman T. Riahi was born in Iran and grew up in Vienna, Austria. He studied media technologies and worked as a screen- and graphic designer in London & Vienna. In 2005, he started his TV-work as director of the infamous TV-Shows “Sendung ohne Namen” and “Sunshine Airlines” for the ORF (Austrian Broadcasting Corporation). In the same year, his short film “Elektronikschrott” (11min.) won the nation wide short film award “Shorts On Screen”. In 2006, Arman was invited to the Berlinale Talent Campus as director/screenwriter. In 2008, Arman co-created, co-wrote & directed the TV-documentary series “Momentum – What drives you” (Red Bull Media House) featuring athletes such as Sebastian Vettel, Ryan Sheckler or Thierry Henry. His first cinema documentary “Schwarzkopf” (“Dark Head”, Golden Girls Filmproduktion, Thimfilm, 2011) has won the Audience Choice Award at the National Austrian Film Festival Diagonale, and the Special Jury Mention Award at the Docudays, Beirut International Documentary Festival. The film opened the documentary competition of the 17th Sarajevo Film Festival in 2011 and was invited to a dozen other film festivals around the world. In 2013, Riahi directed and wrote the 5-part documentary series “Africa Race” for Austrian TV “Servus TV” about the legendary Rallye Paris-Dakar, featuring austrian actors Tobias Moretti and Gregor Bloéb. 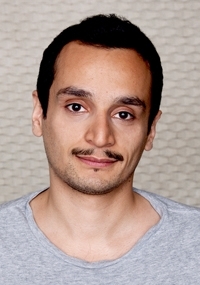 His second cinema documentary, “Everyday Rebellion”, co-directed together with his brother Arash as the “Riahi Brothers” has won several film awards like the CPH:DOX Audience Award and transmedia awards like the CIVIS Online Prize and was invited to over 40 international film festivals.